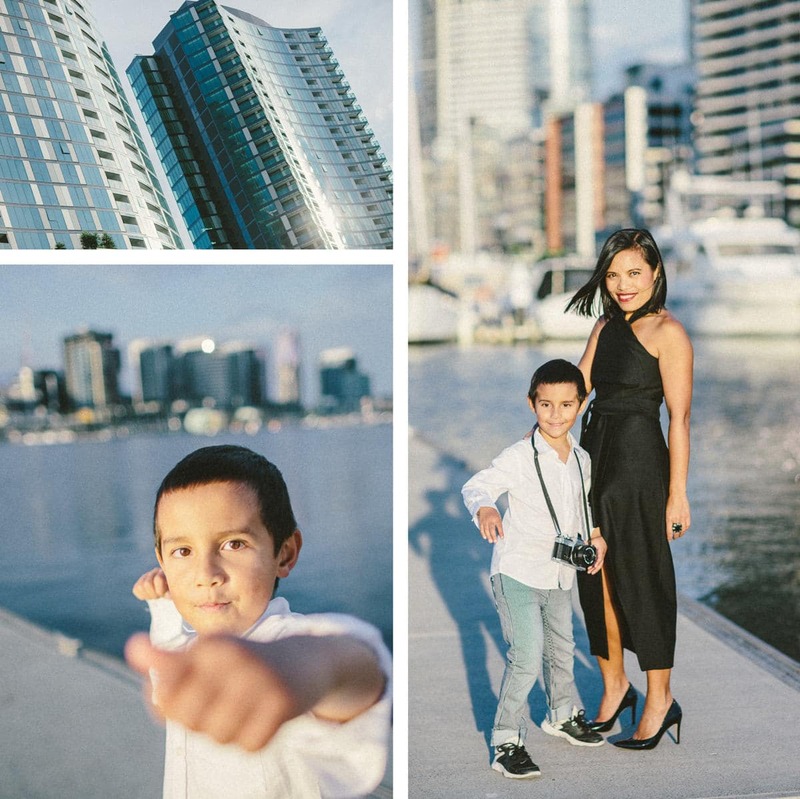 Melbourne offers plenty of wonderful urban family photography locations. 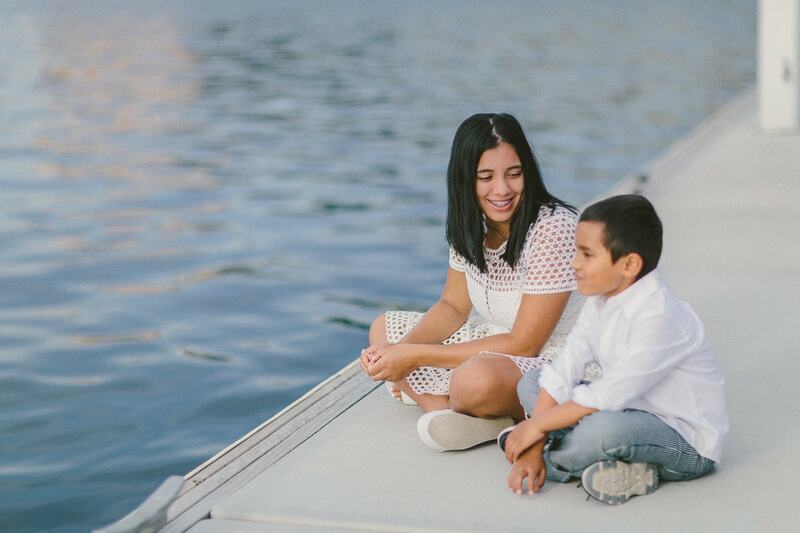 We love simple and plain backdrops to get the family in the centre of attention. 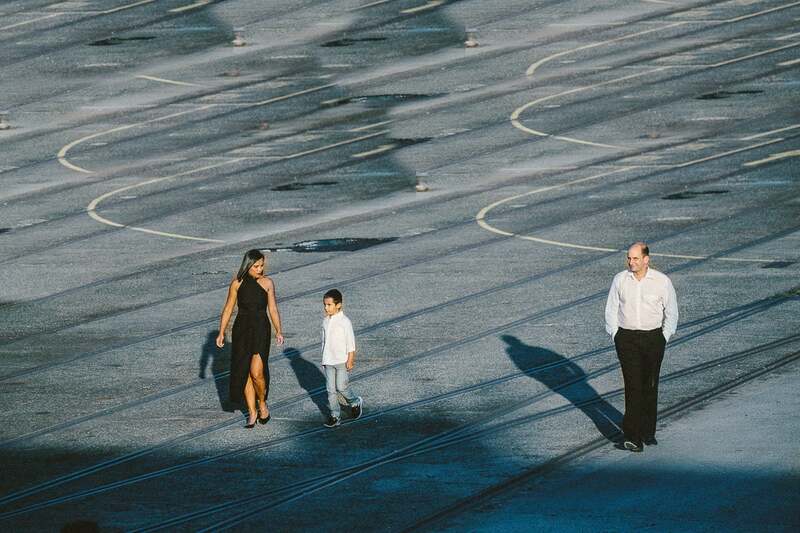 The busy city environment is usually not something where you take family photos. 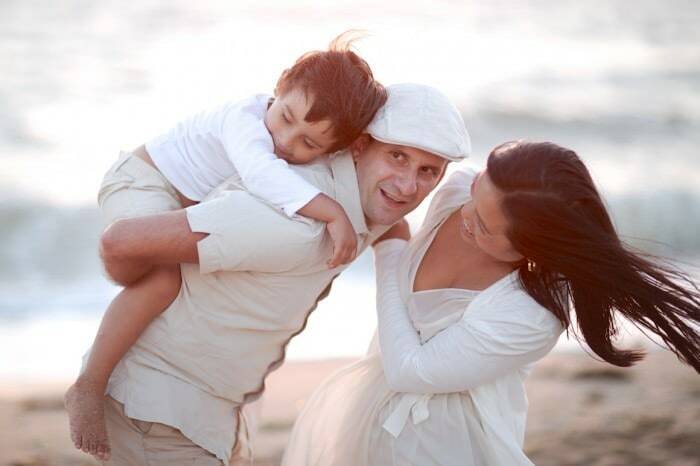 It’s usually relaxed areas such as parks and beaches which are ideal for a family photography session. 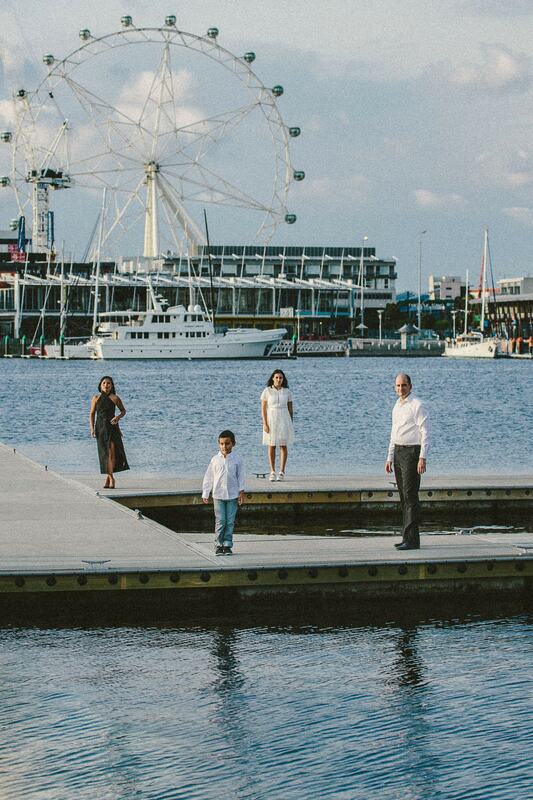 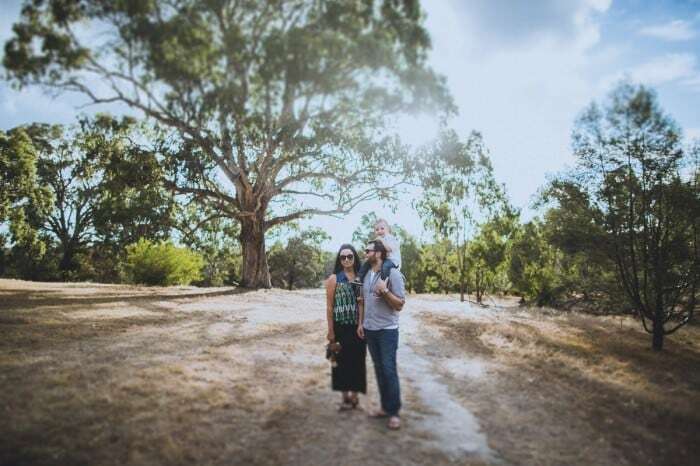 There are always some exceptions to this rule and there are lots of stunning places to photograph families in Melbourne. 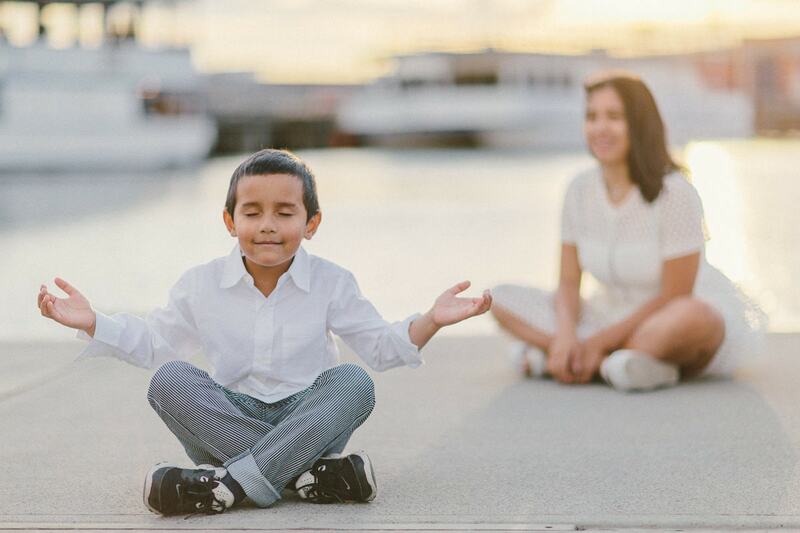 Especially with younger kids it’s usually a better choice to select a more quiet spot to have a relaxed photo session. 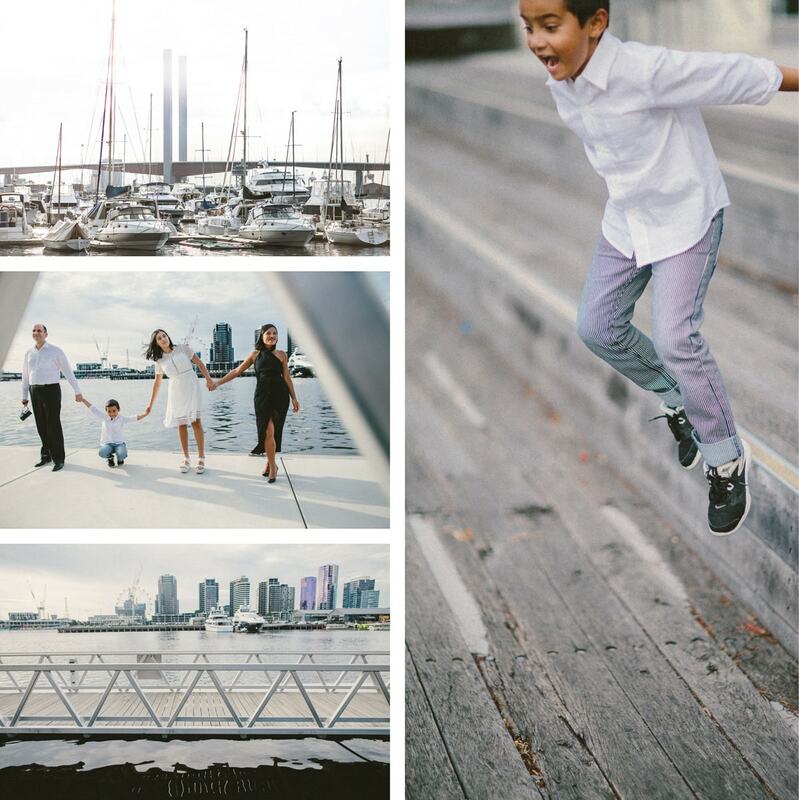 For this urban photoshoot we ventured out to the Docklands and made use of the beautiful city backdrop and yachts and waterfront. 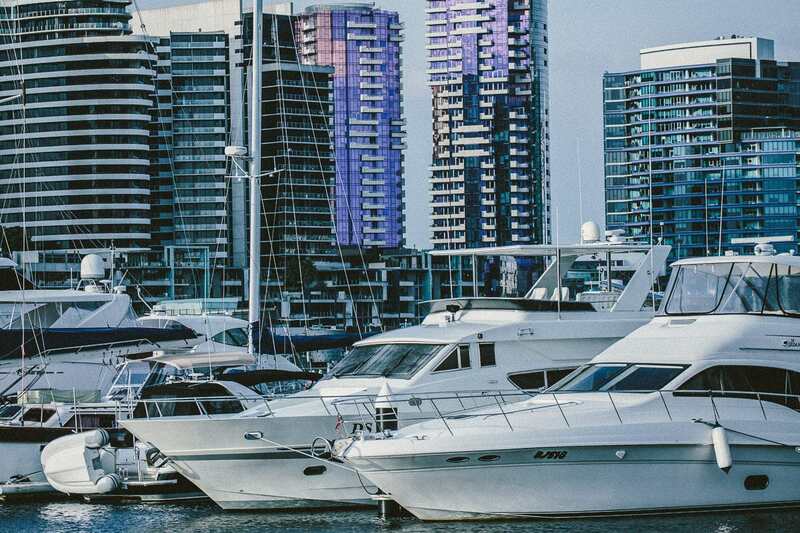 The location has plenty to offer and keeps the kids entertained with all the amazing boats and city backdrop. 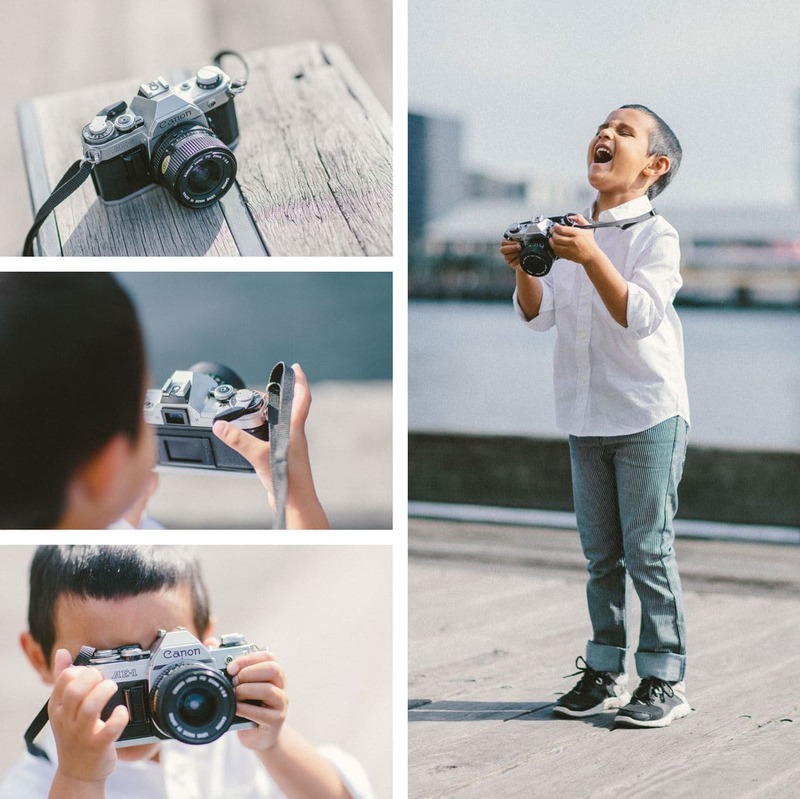 Little one brought an old vintage camera and was keen on taking his own urban family portraits – we definitely had lots of fun. 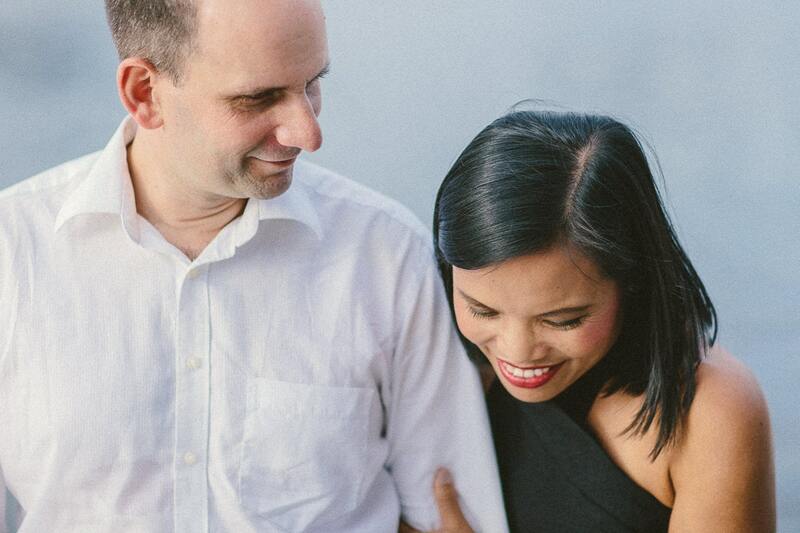 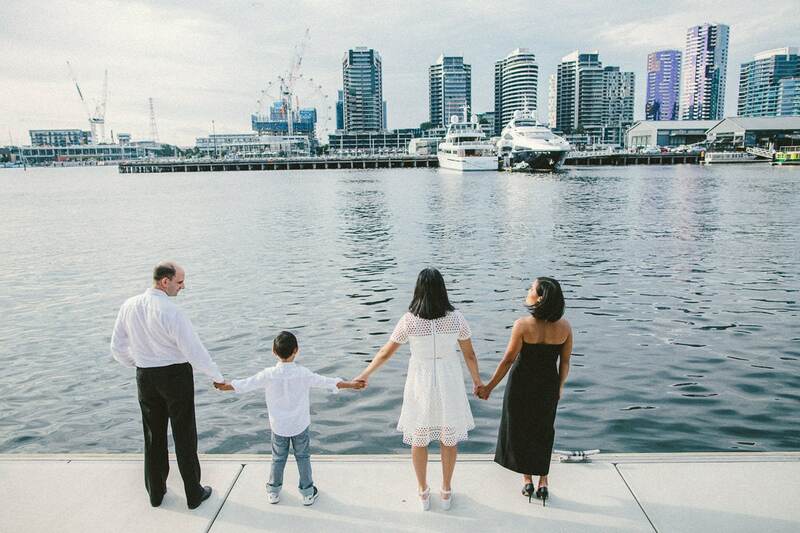 We offer family photography sessions in Melbourne. 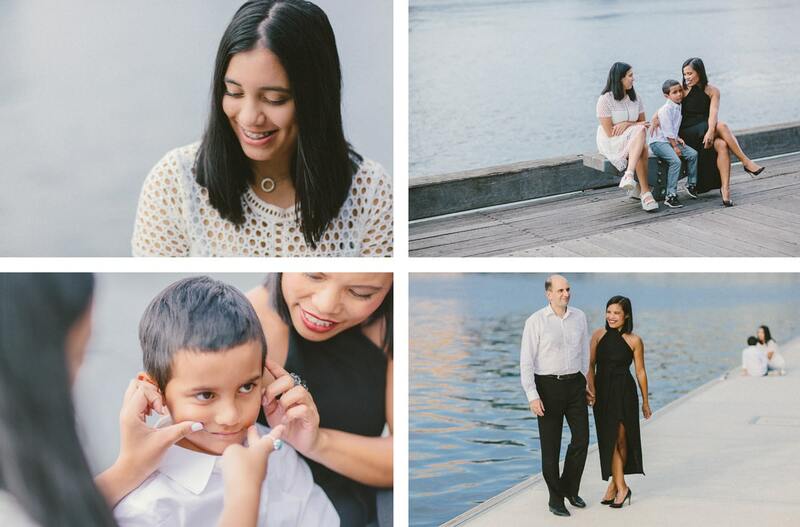 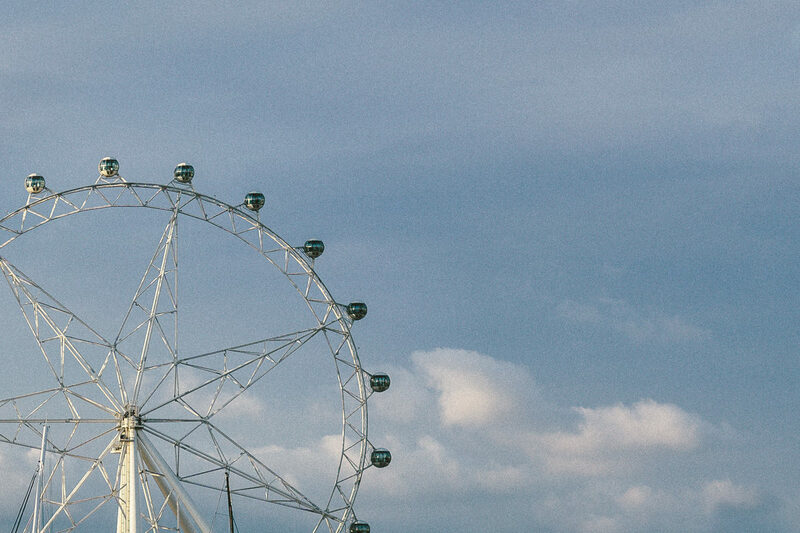 It does not matter if you love the beach, the city, a park or your special secret location – we capture it for you. 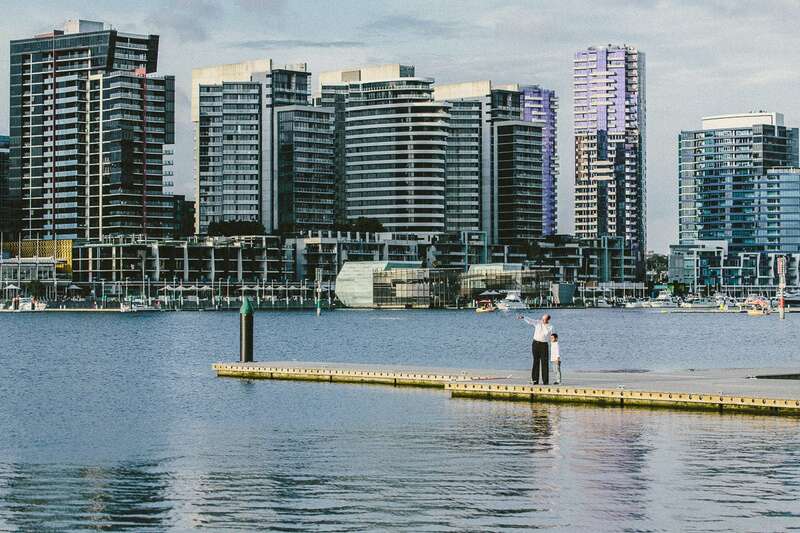 We love outdoor locations in Melbourne. 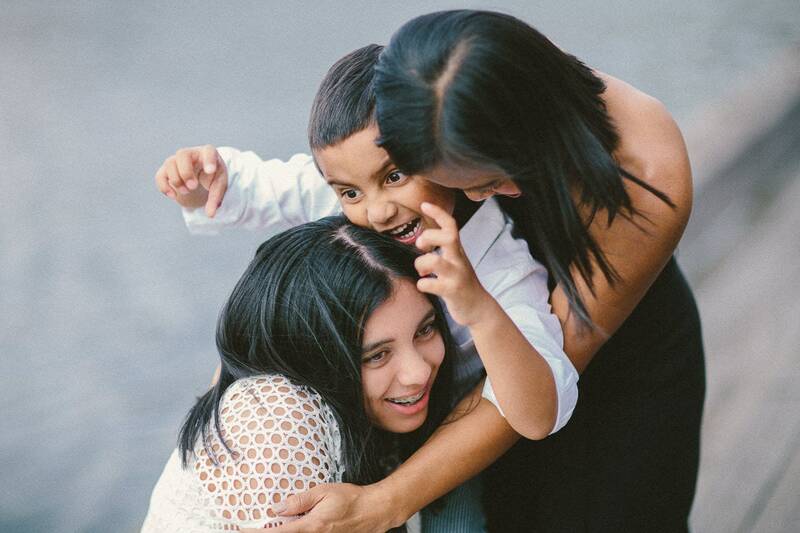 We would love to create some stunning and creative photographs for your family. 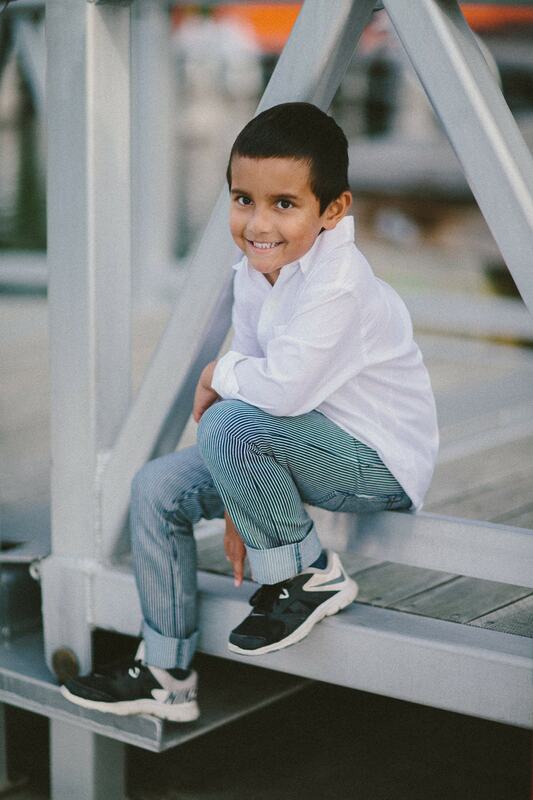 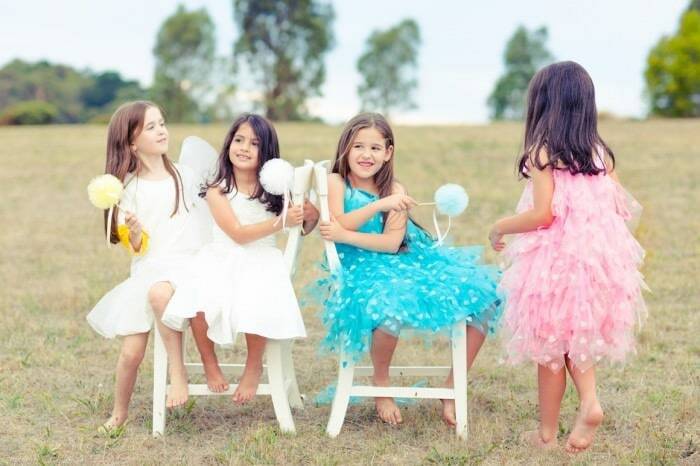 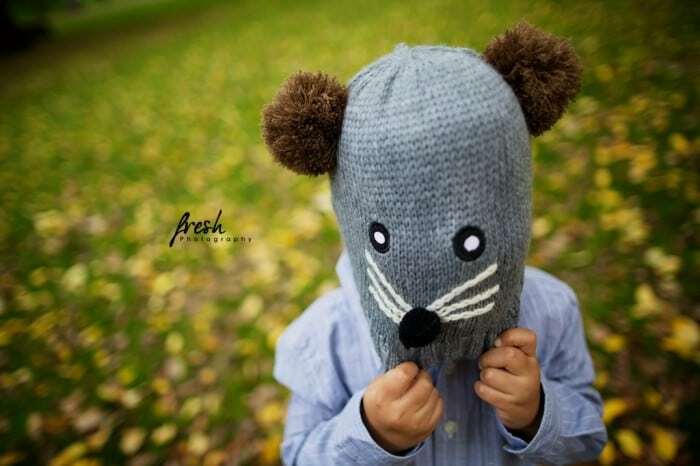 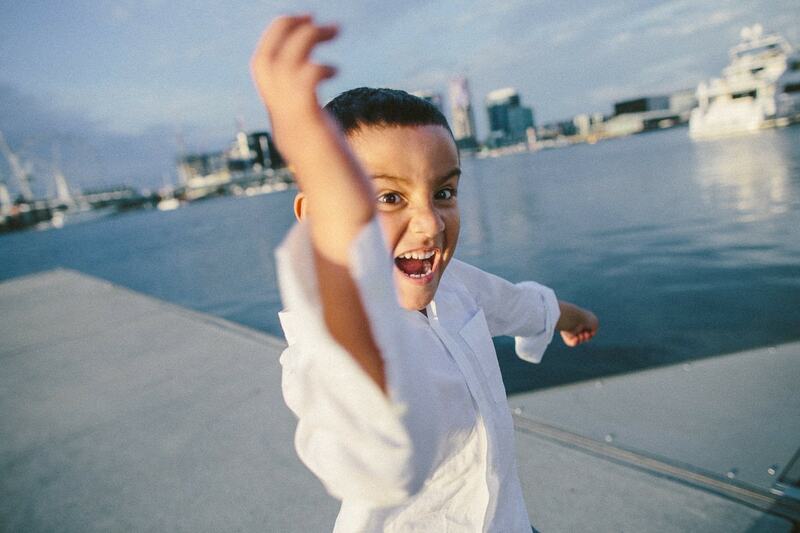 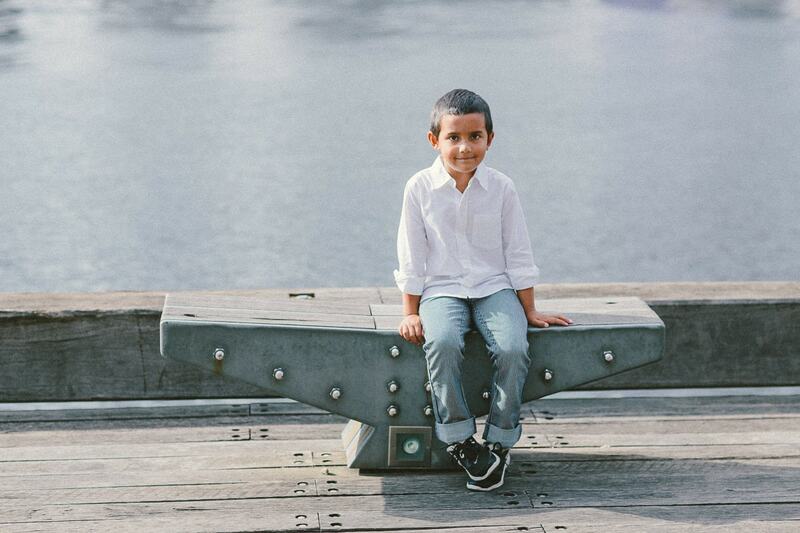 Book a family or kids photography session with freshphotography in Melbourne! 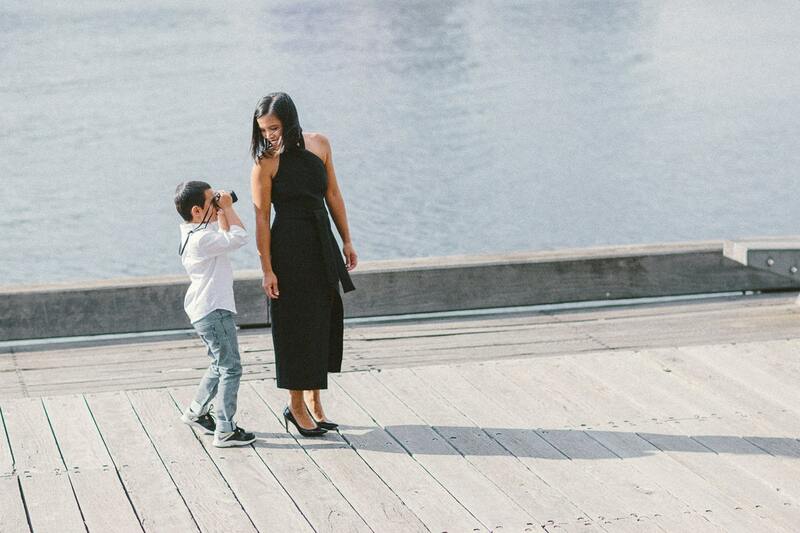 When you love our photos and style (have a look at our family and kids portfolio) we offer a very simple photography package for a family photoshoot in Melbourne. 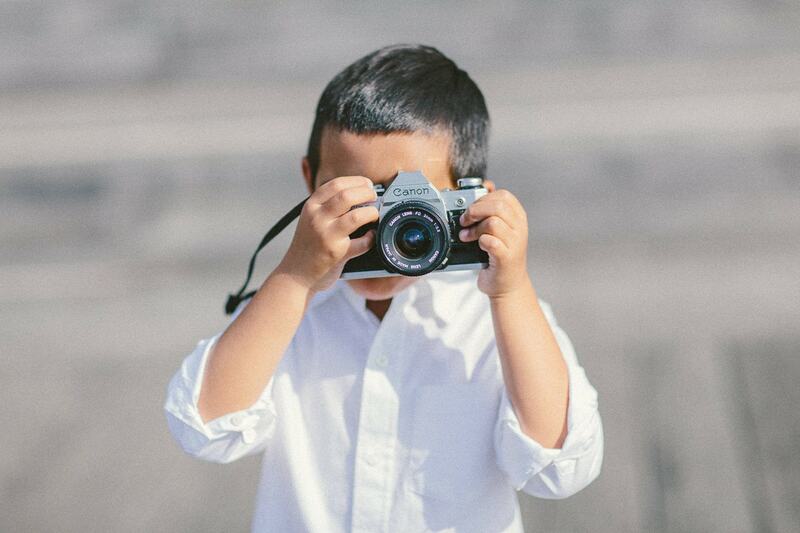 Contact us and send us your ideas … we are looking forward to photograph your family and create some lifelong lasting memories.